Over the past year, it has been almost impossible to go anywhere without hearing some type of reference to Minecraft. With more than 35 million registered players across the different platforms as of 2012, it has truly taken on a life of its own. Players of all ages enter the word of Minecraft on a daily basis to give their imaginations and creativity the opportunity to run wild. Whether you are creating your own fortress perfectly designed to keep the various mobs out or trying to survive the entire night outdoors without the use of any weapons, players never run out of fun things to do. The following short stories, puns, jokes, and memes demonstrate what makes Minecraft so engaging for so many players. 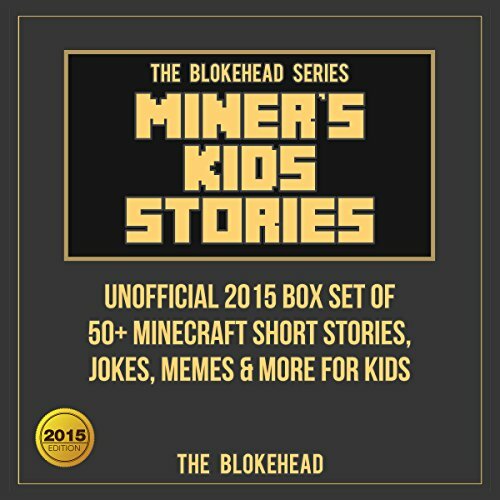 This two-in-one box set features Minecraft jokes, memes, and puns and 50+ short Minecraft stories for kids and the young at heart. Welcome to the exciting and fascinating world of Minecraft! Yes, to others who enjoy Minecraft or are just learning about it. What other book might you compare Miner's Kids Stories to and why? This was the first Minecraft audiobook we listened to. The part with the Creepers. The Narrator, Tristan Wright, did an exceptional job on this audiobook.